If you missed a go at the Destiny Alpha test, you’ll be happy to know that the timeline for the Destiny Beta test has been announced. 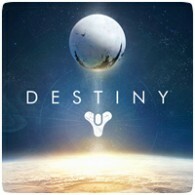 The Destiny Beta will begin on July 17th 2014 until July 21st-22nd, when maintenance will take place. There will also be a rally on July 26th, where players who make an appearance will get rewarded. The beta will be your final chance to play Destiny before the full game launches in September.